A greening shot after the rains have refreshed the East Bay hills. 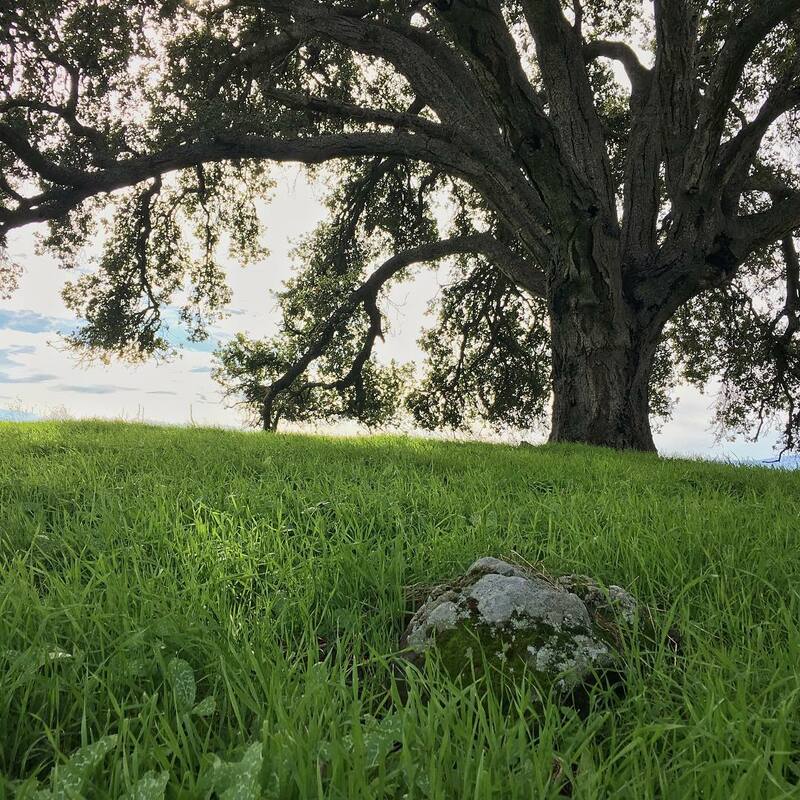 Hiking to the unnamed peak in Coyote Lake County Park, I was taken by this elegant old oak, crouched down in the grass to give the branches space agains the sky, and composed with this solitary rock in the foreground, for interest and contrast. Seeing these little tableaux takes practice, yet they are all around us. Much of photography is deciding what not to include in the frame, what does not need to be there.